Here's one of the new online slots game you should try. Any true superhero fan knows that it’s not the movies that capture the best, but the comics themselves. In this Superheroes slot game, World Match pays homage to the culture of superheroes as we know them in comic books. This slot has 5 reel and 15 non-fixed win lines. The background has cartoon figures of notorious villains we know. The bright colours make the screen pop and leave you mesmerized by nostalgic memories of childhood heroes as well as modern ones. Some of the heroes who appear here are Spiderman, Hulk, Wolverine, Batman and Ironman. These heroes are a big deal- big enough to have their own franchises and it’s no wonder their titles hold high rewards in this Slots games. World Match is well-known in the e-gaming world the company has been active in the European gambling industry for over a decade now. The focus of World Match isn’t just to design and release a variety of games but to make them available on the internet in a safe way. The company has its own Cloud Gaming Center, where casinos can build their own gaming sites using a turnkey platform. You can be sure that the service is top notch and the if the growing list of online casinos enlisting World Match software is anything to go by. If you love promo's, get the best latest slot promotions today. The first thing you’ll notice if you are a keen follower of the Marvel vs DC Comics race is that all the characters except Batman are from the Marvel universe. You can start your stakes at as low as 0.01 on every active payline. You can also choose to play on all 15 lines which means your stake is 0.15. This is the minimum amount. Hulk gives the lowest return of the group which is 15 - 300 credits. Wolverine 20 - 500 coins, Spiderman 20 - 750, Ironman 25 - 1,000 credits and Batman 25 - 1,500. This all depends on how you match your combinations. The Autoplay button lets you set the number of spins you want to watch. You can also use the Spin Stop feature to end the endless rolling which fits perfectly when you alter your settings and change tactics. The characters look right at you with their veiled eyes, but they’re not what you should be paying attention to. 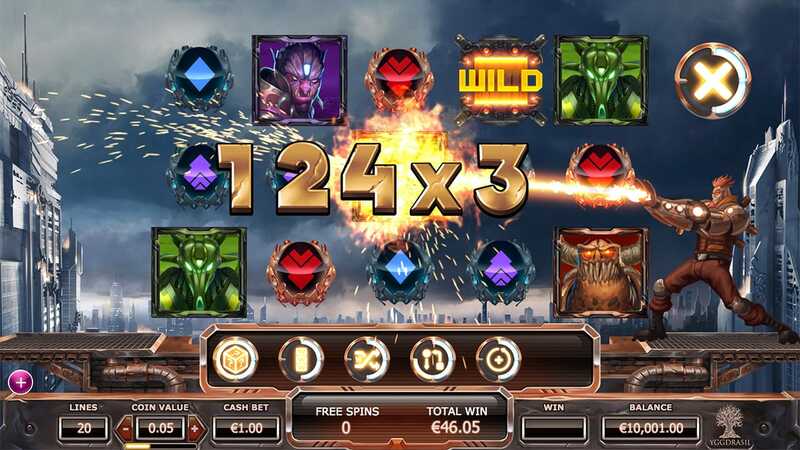 There are wilds, bonus game icons and free spins. Your task is to find 3 or more of each hero before you can activate any winning lines. Free spins- You get 10 extra spins every time you trigger them. Bonus round- The bonus round takes you to another slot machine. Superhero guesses- When you spin 3 reels and match a superhero’s face correctly, you win yourself more cash. You’re on a time crunch here so you’ll have to make those guesses correct and fast. There is nothing particularly exciting about this slot, except the aesthetics and seeing your favourite superheroes in action. 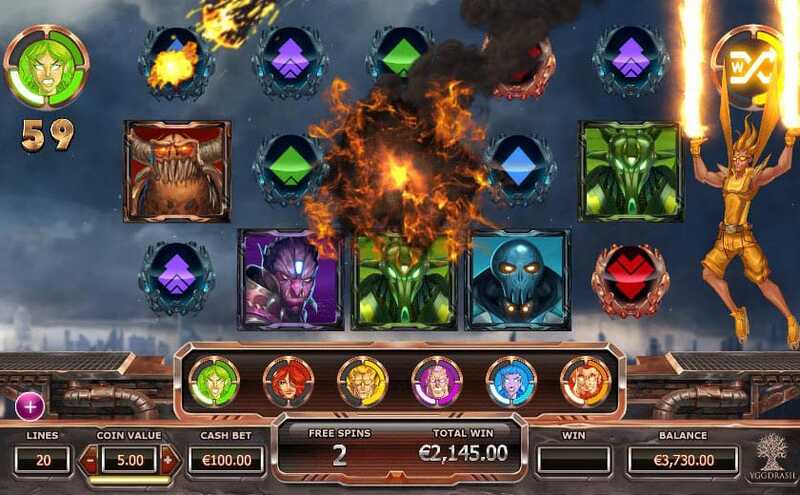 It’s very easy to get into gameplay as SuperHeroes follows classic slot patterns. It’s not that game you play if you’re looking for major wins because their payouts are low. However, there are some games that have lower jackpots than this one so maybe don’t totally write it off just yet.